Often copied but never equaled, the Bosch 1617-series routers revolutionized the mid-size fixed-base router category. 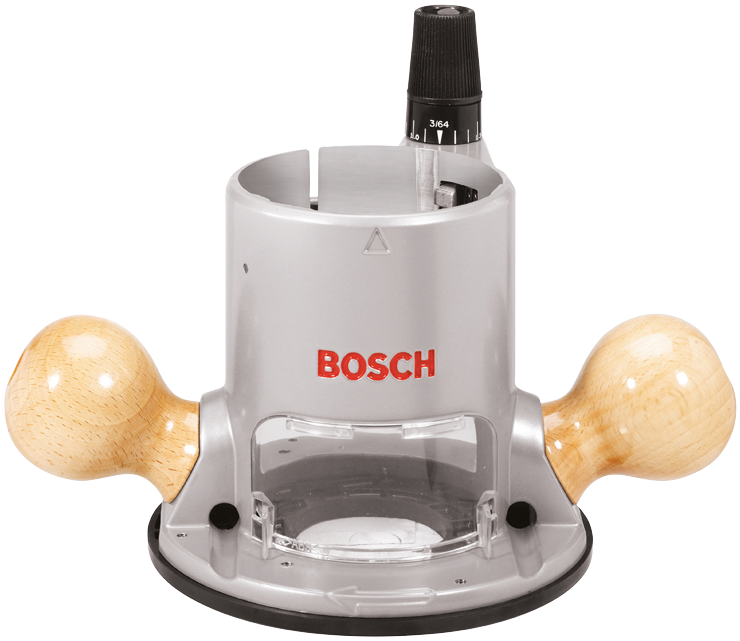 The Bosch RA1161 is the fixed base for use with the Bosch 1617 and 1618 series routers and has a distinctive look with its classic wood handles. This fixed base features linear depth adjustment, which allows the bit to stay in a consistent horizontal position relative the subbase and allows consistent guidance. When its subbase is removed, the RA1161 can be mounted to virtually any table surface and common router table plates. In fact, the RA1161 includes hardware for mounting to router table and an T-wrench for adjusting the depth from above the table.